Locks - Gold 18 ct. The Bellis flower in its natural size. 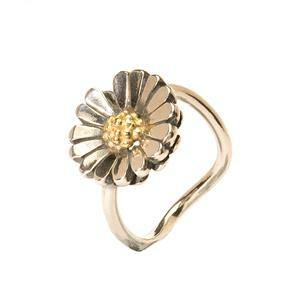 This one in sterling silver with golden stamens with the delicate stem as its ring. True to its natural origin.